"Tell me if this sounds familiar…" A24 has unveiled an official trailer for a mysterious indie drama titled The Vanishing of Sidney Hall, formerly known as just Sidney Hall when it premiered at last year's Sundance Film Festival. There wasn't much buzz for this and it's just finally getting a release one year later, for those who might be interested. Logan Lerman stars as the titular Sidney Hall, who found accidental success as a writer of a popular novel, along with unexpected love, at an early age, then disappears without a trace. Some of his friends and family go on a hunt to find him, and figure out what happened. Elle Fanning also co-stars, along with Kyle Chandler, Michelle Monaghan, Nathan Lane, and Margaret Qualley. I actually saw this film at Sundance but totally forgot about it, because there wasn't much to it. There's an intriguing truth to it with Lerman's character, who hates popularity, but the rest is a bit dry. Check this out. Sidney Hall harbors a precocious talent for writing. His classroom essays exhibit a danger that some find off-putting, though one teacher recognizes his talent and urges Sidney to pursue a writing career. Early success with his first novel makes Sidney a celebrity, though his dystopian observations about suburbia provoke tragic outcomes among some young readers, cloaking his name in scandal. Heightened scrutiny and expectations haunt him, as do dark secrets from his past that complicate his creativity, and interfere with his chances of finding love with a childhood sweetheart. When the disillusioned writer has all but disappeared from public life, a mysterious detective seeks the answer to his mystery. 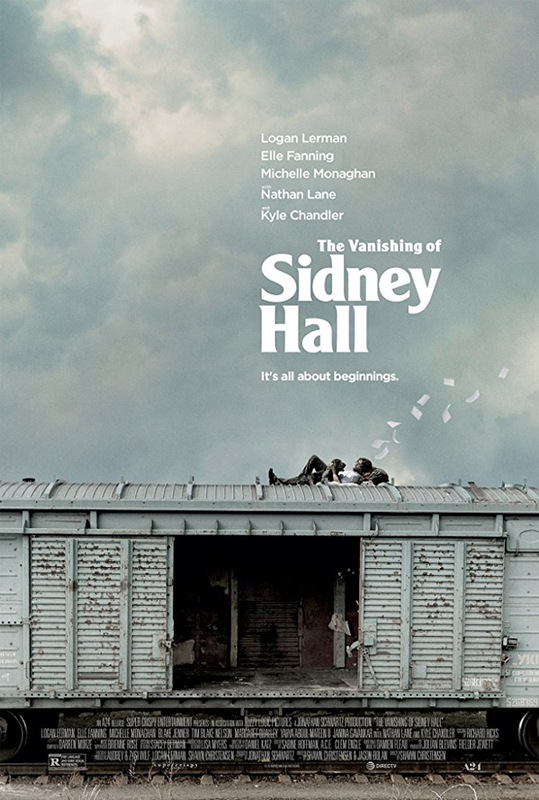 The Vanishing of Sidney Hall is directed by filmmaker Shawn Christensen, of the film Before I Disappear previously. The screenplay is written by Shawn Christensen and Jason Dolan. This premiered at the 2017 Sundance Film Festival. A24 will release The Vanishing of Sidney Hall in select theaters starting on March 2nd. Anyone?